In this article, I’m going to teach you how to use methadone for opiate withdrawal. And trust me, I don’t think you’ll find a more educational and helpful article on this subject on the internet. Well, my history with methadone is quite…um…rounded. There’s no way to be sure, but I do believe I might be the only person in history to have a certain set of three events happen to them, which all involved methadone. 1. First, I overdosed on a large amount of methadone and Valium and was one-minute away from death when an EMT saved my life with a naloxone shot. 2. After spending a week in the hospital being administered opiates by the nurses, I was released to go home, and then I used 40 mg of prescribed methadone daily for seven days to quit opiates for good. 3. After getting clean using methadone, I went on to become an Intake Counselor at a methadone clinic, where I helped hundreds of people sign up for treatment so they could use methadone for opiate withdrawal. 8 Methadone For Opiate Withdrawal – Success Rates? Now that you have a little background on my history with methadone, I think you’ll agree that I’m more than qualified to teach you how to use methadone for opiate withdrawal. Using methadone for opiate withdrawal is serious business, and I don’t want you to take it lightly. In this piece, I will provide you with all of the main pros and cons of using methadone for opiate withdrawal. Used in the correct way, methadone can enable you to get off opiates in a relatively painless manner. Used incorrectly…it can kill you. So don’t buy methadone from a drug dealer, and don’t be an idiot like me and use tons of Valium or other benzodiazepines with methadone in an effort to get high. Only use methadone at a treatment program. And finally, I want to warn you with a good dose of caution about a possible outcome that you may not foresee. Many people that signed up to receive methadone for opiate withdrawal did so with the intention of only using methadone for a few days to a few weeks, however, ended up on methadone for many years! If you need methadone maintenance treatment (MMT), then go for it. But if you just want to use methadone short-term to get off opiates, you’ll need a lot of self-discipline to stop. For now, let’s briefly discuss what methadone is, and why methadone helps with opiate withdrawal symptoms better than any other substance on the planet. Methadone can totally eliminate 100% of your opiate withdrawal symptoms. This is because methadone is a powerful opioid drug. To further illustrate why methadone works so well for opiate withdrawal, I’d like to give you the basics on the opioid withdrawal syndrome. What results is known as the opioid withdrawal syndrome, and it’s one of the most agonizing experiences an individual could ever go through. A quick fix for stopping this syndrome is to use methadone for opiate withdrawal. After an individual takes a dose of methadone, the drug quickly binds to the opioid receptors, and if enough is taken, withdrawal symptoms and opiate cravings are completely eliminated. A “therapeutic dose” of methadone is when you use just enough to eliminate opiate withdrawal symptoms and cravings. However, if you use more than this amount, methadone can get you high, and if you use way too much methadone, you can overdose (like I did) and even die. If you want to know how to use methadone for opiate withdrawal, this section will explain the process. To use methadone for opiate withdrawal, the first step you’ll need to do is find a methadone clinic hopefully close to you. On the morning of your intake, you’ll be asked to pee in a cup in the bathroom so they can take an analysis of what drug(s) you have in your system. You’ll meet with a counselor to fill out the admission paperwork and get oriented to the program, and you’ll also see a nurse who will do some tests and ask you questions about your medical history and drug history. After finishing up with the counselor and nurse, you’ll be seen by the doctor. After the doctor looks over your paperwork and asks you some questions, they will prescribe you a small dosage of methadone. They usually prescribe around 40 mg or less the first day, as they want to see how you do on a low dose before raising your dosage over the course of the next week or more. Once the doctor writes up your methadone dosage in your chart, you’ll proceed to the “dosing window” where a nurse will provide you with your medication. 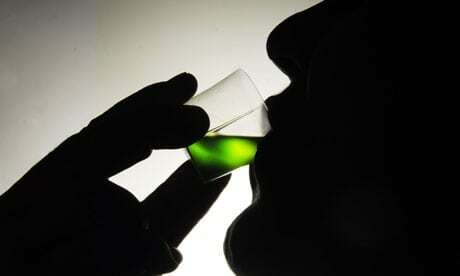 Once you drink your medicine, you have now successfully used methadone for opiate withdrawal. At the methadone clinic I worked at, and I believe this is also true for most if not all methadone clinics, there were three different programs. 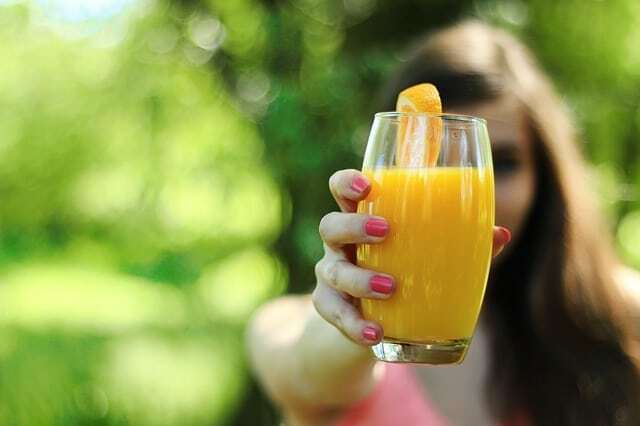 21-Day Detox – This program consists of tapering methadone (lowering dosage) over the course of 21 days, thus reducing the shock to your body that a cold-turkey detox is known for. Long-Term Detox – A 180-day program where you’re stabilized on a therapeutic dose for weeks or months, then you start a taper schedule within at least a few months before the final day of treatment. Maintenance – This program is for people that want to use methadone for over six months. Many people on methadone maintenance stay on methadone for 1-2 years or longer. Don’t take methadone for longer than a week, and consider only taking it for 3-4 days in a row. Methadone is slow-onset/slow-offset, as it’s a sustained-action opioid. This means that you only need to dose with it for maybe three days to build up in your system to a level where you can then stop, and this essentially prevents you from experiencing severe withdrawal symptoms. You avoid going through a cold-turkey acute opiate withdrawal. You avoid the chance of your body getting too dependent on methadone, in which case the detox from methadone would become much more difficult. So, if it only takes a few days of using methadone for opiate withdrawal to help you ease your symptoms in a major way, why is the shortest program 21 days? Because the “experts” in charge of creating methadone regulations probably believed 21 days would be the most helpful, since a patient would get to taper their dose for this allotted time, while also getting to have weekly therapy with an addiction counselor. Now, depending on your unique situation in life, it might be beneficial to do the 21-Day Detox, LTD, or even Maintenance program. Everyone is different, and you should do what you feel is right for your situation. However, before you go and sign up for methadone treatment, you need to be educated on some very important methadone facts that you may not be aware of. While methadone can be a miracle medication for opiate addiction recovery, there are some common complaints that many methadone patients have expressed. These negative consequences all relate to the longer methadone treatment programs, and won’t be an issue if you only use methadone for a week or less. The complaints stated above typically would be more common as a patient’s methadone dose got higher and higher. Most of these symptoms are a result of something called opioid-induced endocrinopathy. This is the most common disorder from taking methadone long-term, and the sad part is that doctors and nurses at methadone clinics don’t even know about the disorder. Methadone For Opiate Withdrawal – Success Rates? One of the biggest complaints from methadone patients is how hard it is to come off methadone. Even when patients go on a conservative taper protocol, it can be extremely difficult to get off methadone, as patients commonly complain of mild, moderate, or severe physical and mental symptoms from lowering their methadone dosage. The sad fact is that opioid dependence is a chronic, relapsing disorder. Most people that get off methadone end up on opiates again, and it’s common to see the same patient readmit to the methadone program several times over the years. At this point I don’t want you to think I’m against methadone. On the contrary, I think it’s a miracle medication that has helped countless individuals (myself included!). I just wanted you to be fully informed before you decide to use methadone for opiate withdrawal. 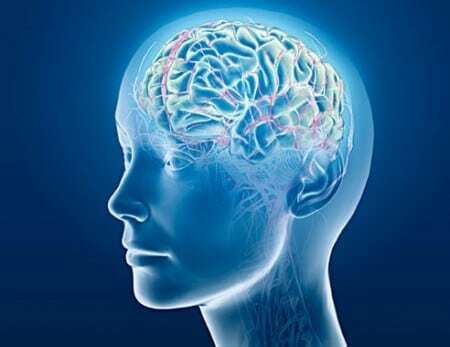 Now you know why methadone works so well at eliminating opiate withdrawal symptoms and cravings, and you also know how to use methadone for opiate withdrawal. Furthermore, you’re aware of the potential negative consequences of using methadone for longer than a few weeks, and with this information you’ll be better equipped to make important decisions regarding your treatment for opioid dependence. I wish you the absolute best on your journey, and if you have any comments or questions on how to use methadone for opiate withdrawal, please post them in the comment box below. I have been taking 1200mg of codeine now for about 15 years, it all started when I needed it for pain relief for a chronic knee pain problem. I am determined to somehow kick this habit as it’s costing me a fortune and may even eventually cost me my job of even worse my life. Do you think methadone over 21 days would be best. Came across this site looking for a quick detox.. I bought my methadone from my friend who gets it from a doctor. I have been researching quick heroin detoxes using methadone for 3 days on Google untill I came upon your site at 5am.. I’m starting today and hope to God I can do a 4 day detox and never look back … I’m stocked with methadone kratom and Pedialyte… Wish me luck and I’ll check in, in a couple days..
Hey what’s up I’ve been using about 200 mg of oxi a day for around a year going up and down from 20 to 200 mg a day I stopped last Friday and took 30 mg of methadon but was still not feeling well so the next two day took about 200 mg of oxi then stopped and took 20 mg of methadon for to days straight and day three I’m on 10 mg and feel great what should I do now ? First off, congratulations on your continued sobriety! I’ve searched all over the internet for a quick detox schedule, using methadone, but to no avail. Your posts seem to have exactly the information that I am looking for. Long story short: I am battling heroin addiction. I have 140 mg of methadone to help me through my withdrawals. Several months ago I went to a 4 day detox where they administer 20mg methadone = first day, 15mg = 2nd day, 10mg = 3rd day, 5mg = 4th day. The problem was that I have a high tolerance and 20 mg was not enough to even slightly alleviate the withdrawal symptoms so I checked myself out and quit cold turkey. IT WAS HELL! Needless to say I have relapsed. What I need now is a dosing schedule for the 140mg or methadone that I have. A schedule that would have me suffer the least withdrawal possible. Any help that you can provide from your experience and knowledge would be deeply appreciated. Hey, how are you? I wanted to ask about dosing amt for a quick 4-7 day detox with Methadone tablets (120mg total) for someone using H 8-10 bags/day not IV for about 6 or 7 months. And what to use after for lingering w/d. matt, i have been addicted to opiates for about 2 years now. and have recently come across some methadone. (im not proud of getting it outside of clinic but it was only way i could) i was doing subutex before this. i am on my 3rd dose of methadone but have only been doing it every 3 days. i have no one to talk to about using the methadone for a very short detox of the opiates. what advice do you have. i have been very functioning. and to be honest my opiate withdrawals have never been more than slight chills. wrestles leg and much difficulty sleeping. It really depends on your situation. If you feel like you’re ready to come off methadone before you get super addicted to it, then the short-term 3-7 days trick can work. However, if you were on Subutex and not a short-acting opiate before switching to methadone, it might not be as effective. This method is a miracle for coming off heroin, hydrocodone, oxycodone, etc., but if you were on Subutex long-term then switched to methadone, it won’t have the same type of miracle results, though it will still help. What exactly were you taking leading up to the switch to methadone? i was on about anything i could get my hands on. i did mostly heroin, and roxicodone. i have been doing subutex 2 to 8 mg for only about 5 months now and not consecutively every day, and only recently had i been doing it every day. i started the subutex because it was a miracle in the fact that it was keeping me off of the street drugs, and made my life a lot easier. but then i noticed i was using it all the time. methadone seems to be the only thing that i dont abuse. i have always been a “functioning” drug addict. i have never lost a job while on them, i graduated college, and now work for a very good advertisement agency in Oklahoma city while on opiates. i never had to steal or do shady things to support my habit. im just getting tired of having to rely on them to feel normal, and not sick. im also not sure if this matters or makes any difference. but i also have never once used a needle or had the desire to. i went to the emergency room about a year ago for panic attack (i though i was having a heart attack) and tested positive for opiates. and ever since then i have been treated like a leper by any medical official, no matter how much i stress i am not trying to acquire drugs from them and just want help. i had a lady from a local subutex clinic hang up on me when i told her i was buying my subutex off the street. it breaks my heart when the people that are there to “help” you turn their backs on you. i very much appreciate you following up on my comment because i am getting to the point where i dont know who to talk to. i know deep down inside i can get over using opiates. i just no longer trust the medical system that claims they want to help. i am no longer doing opiate to get high, i am just doing enough to not be sick. once again sorry for such a long post, and thank you so much for the advice. Reading your comment TOTALLY made my day! This is amazing to read that you and two of your friends had such easy detoxes using this method. Wonderful! Thanks for telling me about this and I sincerely appreciate your feedback. Glad the info helped! And pregabalin and Klonopin or another benzo for after the methadone short-term trick can be very helpful. Cheers! Hello I have been taking about 5-6 10mg oxycodone for about 3 years and just got 10 10mg methadone to help get me off the oxycodone for good, do you have any advice on how I’d be okay with using the methadone to get me off without going thru withdrawals? Hey Sal, sorry it took a bit to reply. Since you only have 10 methadone to work with and based on your current daily dose of oxycodone, if it were me I would take 40 mg day one (dosing once in the morning only, methadone will last you all day and it will get you out of the habit of watching the clock to redose for a few days) the lower by 10 mg per day. So day two will be 30 mg, day three 20 mg, then 10 mg on day four. This is known as a fast taper. I should note however that you will still go through withdrawal coming off methadone but if you dose only once daily like I mentioned it should be a much smoother transition because of methadones long half-life. This is really the only taper schedule that will work with the amount of methadone you have. Be prepared for each day to be a little less comfortable but the methadone will get you through until you make the jump off. I should mention that the first time I took methadone it took a couple hours before I even realized it was working so give it time. I don’t know if this is common or just my experience. Hope this helps my friend. First, thanks for what you do. I am pretty much over the acute phase. Its the PAWS that is making life difficult. 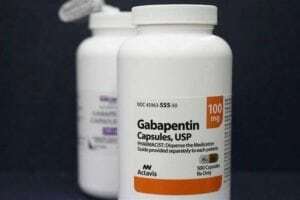 I have Clonodine abd Gabapentin prescribed. Just got the GP. Should I go on 3 days of a low dose of MD? Would that help? I am open to suggestions. Jeffrey please read the following article which will provide you with a superabundance of methadone withdrawal remedies that you can use right away to feel much better. Not sure how to start my own comment but am looking for some advice. I’ve been on opiates for about a year. I usually take anywhere from 60 to 90 mg of hydrocodone a day. 4 days ago I started taking methadone. Started at 40 mg first day and have been dropping 5 mg a day. Today I took 25 mg. Im thinking about stopping tomorrow waiting to see if I get a withdrawl and if I do using Kratom for 3 days. I have a plan was just hoping to get some some feed back as to if I should continue to tamper a few more days to a lower dose before stopping or do you think this plan of action may get me off of everything. Corey, that plan sounds really good. It should help in major ways. Your previous comment never showed up on the blog as you thought. Once you write a comment, it doesn’t appear on the blog, but it goes into a moderation box where I read it to make sure it is not spam or hateful. So I just approved your first comment and responded to it. If you have any more questions I will approve your posts and answer them. Sometimes I am able to get to comments that quickly, and other times I go on vacation or am sick, or have something else going on where I can’t get to every comment fast. Hi- I started using opioids recreationally several years ago as an “up” producer. I’ve a friend who has an ample ongoing supply and doesn’t use them. Over the last 6 months to a year, I’ve gotten to the point of taking 3 to 4 ten mg tablets a day, spread out throughout the day, but EVERY DAY. I’ve kept this as s secret from my wife and family but feel it is dishonest and very detrimental for my health, but I feel addicted. At those levels of intake, just how addicted am I, compared to so many people we all hear about in this country’s opioid epidemic? And do you think I can use the short term (1-2 week) methadone-based opioid withdrawal method to quit? I have access to plenty of methadone as well. It’s time I stopped all this, as it has lead me into s life of sloth, heavy drinking, mood swings, weight gain, inactivity, long sleeping habits, etc etc. PS – I am 68 and otherwise in good health. The 1-2 week method won’t work because you’ve already been on it for, it sounds like at least 6-12 months? Thus, the 1-2 week trick doesn’t apply as you’ve gone much further past this duration. I’m sorry. I wrote my question in a way that may have mislead you. I have not ever taken or used any methadone. The usage I referred to was of opioids, which has been about 30-40 mg per day for that 6 month period. That’s why I’m wondering if, with access to methadone that I do have, if that short methadone-based opioid withdrawal technique may work for me. Very sorry I wrote confusingly. And many thanks for listening and responding. Oh well then you’re in serious luck my friend. Yes, that makes all the difference, and I’m very happy to learn this. I’m going to post a link to how I was able to use methadone for 7 days at 40 mg a day to get off opiates for good. It will show you exactly how I used methadone tablets from home to get off heroin, then a 3-week Valium taper after getting off the short methadone phase. It worked like an absolute charm. You’re in a much better situation than I thought now that you explained this to me Jeff. I highly recommend the 3-7 days approach using methadone to get off other opioid drugs. Works like charm if you also have powerful opiate withdrawal remedies to use once you stop the methadone. Hey Jeff. I agree with Matt do a short taper of 3 to 4 days using methadone. Because of methadone long half life you can use it dosing only once a day in the morning. And this is the way it’s given in methadone clinics. Maybe start with around 30 mg per day or lower and drop by five or 10 mg per day until you’re off. To answer your question about how addicted are you I would say you’re still in the early stages of opiate addiction. This is a good thing since your tolerance isnt too high. When I got on methadone about nine years ago I was takeing three 80 mg oxycodone per day but about 3 to 4 years before that I was right where you are. Also you must be determined to stop or get off opiates and never look back for you to be successful imo. And I say this not to discourage you from trying to quit opiates but to encourage you to have the determination it takes to reach opiate freedom. I believe one of the biggest mistakes opiate users do is after quitting successfully and I month or two goes by with no opiates you think to yourself that maybe this you’ve done so good you can take opiates again just for one day or maybe two and then stop again. This is the vicious cycle that keeps you addicted (ime). Please learn from mine and others mistakes and once you’re off opiates do not go back for a taste for any reason. Sorry to keep rambling on I just wanted to help if I can. I do hope the best for you my friend. Please feel free to post your progress here and stay strong. Hey, to whomever replied along with Matt. : You were kind to share and inform, and, additionally, you were inspiring. Thank you. Thank you. Thank you. Your story sounds very familiar, I was using about the same as you each day, not to ever get high but just to get by. Keeping secrets from my family and that guilt weighing me down made me depressed constantly. Now I have now been on the methadone clinic for seven years and have gone through hell trying to get off (even without ever using opiotes while on this program). Unfortunately with methadone their are a lot of people who become “lifers” once they walk through that door. I even thought that was going to be me but today I can say I’m at eight milligrams with the help of Calm Support and before this thanksgiving I’m going to be completely clean for the first time in over 10 years. So If you have a good mindset I’d try using calm support and I think you can do it slowly on your own. It will be hard but the outcome in the end is worth it, just remember your family needs you and you can do it!! Staci, glad to hear your progress with tapering methadone down to 8 mg so far. That is great news for sure. I hope the best for you in your oncoming jump to opiate freedom. You are right about methadone, I was in it for 4 years before switching to suboxone so I know where you are coming from. I’m so glad to hear you are so close to being free of opiates. Keep it up. I feel so trapped! I wish I had found this info before I started MMT! I wasn’t offered any short term plans for Methadone, every person at the clinic I go to is there for longer than 6 months, I didn’t even know I had a choice and now I am on a high dose and am suffering from what sounds like the exact thing you share the endocrinopathy and I keep getting diagnosed with anemia and told I’m exhausted and have all these issues but it’s not the Methadone ! What do I do? How do I get off this high level of Methadone without it taking years like the clinic suggest? I just can’t live this way anymore ! I am unable to function and I could use drugs and be this useless and not be anemic and fat and sweaty! Please help me get off this ! What about the rapid detox I read about? I am willing to do it if it will work? Pleas help me! Well shoot, I’m really glad I wrote this article, because even though you already went through the system and you’re in the predicament you’re in, at least now you know what’s wrong with your body, and I’ll help you get off. Plus, if it helped you realize what’s wrong, then I do believe many others will have the same “aha” reaction as you, and it will possibly deter a lot of people from staying on methadone longer than needed. So I sincerely appreciate you sharing your story here. Now, as for the task of helping you figure out what to do? Fortunately, you can stop methadone any time you want, with almost no withdrawal symptoms whatsoever. You would just need to use my method of using kratom to transfer off methadone. My kratom article has over 400 comments, and many of these are from people that used kratom to get off methadone cold-turkey, and almost everyone said it was pretty simple and easy. After switching from methadone to kratom, I recommend staying on a dose of kratom that holds you for at least 3 weeks. After that, you can go on a kratom taper that lasts between 2-3 weeks or even up to a month or two. Then you just need to take certain natural supplements, exercise, eat healthily, drink plenty of water, and get 7-8 hours of sleep while you’re tapering off kratom, which will enable you to transition of kratom in the easiest way possible. It’s still difficult, but totally attainable, and nowhere near the nightmare that you’d have trying to taper off a big dose of methadone. Methadone is a miracle option, but long-term treatment can lead to some serious health consequences. Some are more sensitive to the negative side effects of methadone more than others. I saw lots of people on high doses long-term that were doing great mentally and physically. But for others (like you), methadone doesn’t agree with your system too well. Luckily kratom is a natural option, that is, if it’s legal in your state. I hope it is. It’s only banned in a handful of states thus far, but the DEA is trying to ban it. If that happens, it will be a sad, sad day. Here is the article I want you to read, and also browse through the comments to find all of the methadone detox success stories that will give you enormous levels of hope. So how would you use it, theoretically, if you had the methadone from a dr. not the street, enough for 3-4 days worth, and you wanted to get off 30mg oxycontin at night and 4-6 Norco 10’s during the day? My dr. died. The new doc put me on 30mg oxy bid & 4 Norco for breakthrough pain. I stopped the daytime oxy but it made my need for Norco (for sweat-chills & rigors, as well as pain) shoot up (I mean skyrocket, not shoot up). So I’ve had to use extra, which luckily I used to get 6 a day so have some extra. But this place gives no more than 4. The oxy doesn’t help the pain much, that’s why I was working on getting off it first. Duh, I didn’t expect it’d just make me need more Norco just for ill-effects! I don’t want to go back to 2 oxy’s, what should I do??? A ballpark estimate would be around 40 mg to 60 or even 70 mg of methadone a day. One could start off with 40 mg first thing in the morning, then wait 4 hours, and if that’s not enough, use some more. Bare in mind that the trick is to use just enough to prevent sickness. You don’t want to use enough to feel euphoric, but just manage the symptoms. Hey Nga, I’m supposed the oxy isn’t helping your pain as much as Norcross since oxy is much stronger than hydro but to each his/her own. One thought is that Norton has Tylenol in it as well so it may help to take something otc along with the oxy. Just a thought and you may have tried this already so I’ll get to the methadone question. Like Matt said use just enough to keep the worst symptoms away on day one then taper down from there if the goal is to gett off opiates. Keep in mind that methadone is different from what you are used to and has a long half life which should last all day or close to it. IMO you should try to dose only once a day during a taper if most of your pain is at night you could dose then I suppose by most dose first thing in the morning. The first time I used methadone I didn’t think it worked at first since for me it took a couple hours to kick in fully. Once it’s in your system it shouldn’t take this long or won’t be as noticeable. Methadone will probably make you tired instead of energetic like hydro or oxy but works wonders for removing withdrawal symptoms. Oxy withdrawals only last about 2 or 3 days so I wouldn’t take methadone for much longer than that if your goal is to get off opiates. Because of methadones long half life it should be a much smoother transition after only a few days use but there will still be some withdrawal symptoms to go through but not as severe. Check out Matt’s other articles here for more help getting through withdrawal and PAWS. Hope everything goes well and keep us posted on your progress if you can. I was on methadone for 4 years before switching to suboxone. At the end I received monthly take homes which was great considerinh you start with daily visits. After the first year or so the constipation wasn’t comfortable at all. Generally had one or two (mostly one) bowel movement per week and it was painful at times. Eventually I learned a few tricks to keep things flowing but for a while it was bad. Methadone definetly helped me get off street opiates so I am truly greatful the program exists. It did make me very sleepy shortly after dosing but that went away after a few hours. Even with all the negatives it is truly beneficial to keep people off the streets and in a doctors care. Thanks for the article Matt. Thanks for sharing your experience using methadone Jeff. Sounds like a the positives greatly outweighed the minor side effects you had. And take-homes make it so much easier. I remember seeing people that had been going to the clinic daily for years because they didn’t pass the drug tests. Glad you were able to stay clean on methadone and qualify for take-homes then switch to Suboxone. That’s much preferable than trying to taper off methadone after that duration on it. I’ve used Methadone to both detox off Heroin and maintenance many times over the years. My first Maintenance was in 1972 where they actually paid us to be on it. I’ve detoxed from Heroin using it for 3-5 days and it works. Now I’m on maintenance. 15 year run this time because it keeps me of opiates. If it ain’t broke, don’t fix it. Im at 14.5 years clean from everything except methadone and I don’t feel it at all unless I miss a dose two days in a row. Then I feel it! Lol I feel horrible. It’s truly the hardest drug to kick and at my age it would kill me so I’ve decided I’m a lifer. Good luck! Opiate addiction is a lifetime battle. Thanks so much for sharing your experiences with methadone, as I’m certain your comment will really help a lot of people over the years! I had several patients on my caseload that were also lifers and it was for the same reason as you. I’m so happy to hear that you’ve been clean for so long!!! That is truly extraordinary, and one of the many benefits of staying on methadone long-term. But it’s still not easy for many people. I had a ton of patients that were on methadone for many years that still used illicit opiates and other illicit drugs! Lots of people just use it to manage withdrawal symptoms, but more are like you. People that use it responsibly to take control of their lives.